With the Amir Debit Card you can access over 25,000 ATMs across the nation surcharge free, so you can #BankBlack and #BuyBlack everyday with ease. 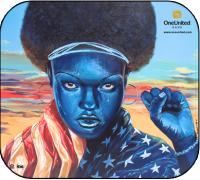 Be part of the movement to demonstrate our economic power in America, because when focused on improving our neighborhoods, communities, and supporting other Black-owned businesses, our dollars become a powerful tool for change. Open your account today and start to make #BankBlack and #BuyBlack part of your daily life.